Home Africa Why 3,000 U.S. Troops In Ebola-Stricken Countries? Why 3,000 U.S. Troops In Ebola-Stricken Countries? As the US brings in a strong military force to 'help' or take over, how might the US powers that be use this as a ploy to also govern the West African country's military, medical and/or economic operations? The US may remain in the region to control the country's future healthcare and resources, while establishing a new order. What may seem like a humanitarian mission by the US is fast morphing into a military takeover with a threat, West Africans fear, of potential vaccination and drug experimentation on West Africans. The President of the US, Mr. Barack Obama, as ordering 3,000 US troops to the Ebola-afflicted region in Monrovia, Liberia. Soldiers take orders and are trained to use force when needed. What a perfect opportunity to test out experimental vaccines and drugs on desperate Africans who may now be forced to comply with military medical authorities under martial law conditions. If the situation escalates, West Africans aren’t going to feel too comfortable watching the US military take over martial law duty on their land. In any event, the presence of 3,000 soldiers has come with a number of suspicions among Africans living in the countryside. Is promoting world security with increased military involvement really the answer? Dr. Jack Chow, a professor of global health at Carnegie Mellon University, warned that “the [Ebola] virus does not recognize national borders and will continue to spread where health care is inadequate.” This mindset provides the perfect excuse for the military-industrial complex and American Medical Association to walk over any border in Africa, all for the sake of world security. Basically, the US could use the crisis to its advantage, as they have before. The United States is already housing more than 1,000 troops in at least 11 countries. Note that the American empire has opportunistically set up base in 153 countries through decades of state-building, according to The Washington Post. 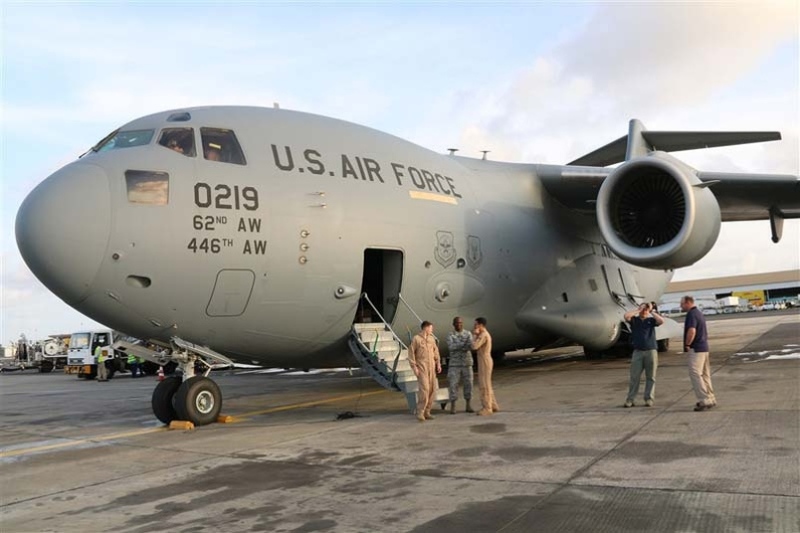 The threat of Ebola and risk of its perpetual spread now permits the US military to basically set up camp in any afflicted country without regard to a country’s borders, effectively expanding the US military empire under humanitarian guise. In Obama’s recent address to the US, it sounds as if the Ebola-stricken countries are breaking down altogether, borderless, needing security, free for the taking. “Today, thousands of people in West Africa are infected. That number could rapidly grow to tens of thousands. And if the outbreak is not stopped now, we could be looking at hundreds of thousands of people infected, with profound political and economic and security implications for all of us. So this is an epidemic that is not just a threat to regional security – it’s a potential threat to global security if these countries break down, if their economies break down, if people panic,” Obama proclaimed. As the US brings in a strong military force to ‘help’ or take over, how might the US powers that be use this as a ploy to also govern the West African country’s military, medical and/or economic operations? The US may remain in the region to control the country’s future healthcare and resources, while establishing a new order. What is the Economic Community of West Africa States (ECOWAS) doing? The borders are blurring, and the US is coming in the name of global security, deciding militarily and medically what is best for these countries. This could be a ploy to set up future vaccination centers. And what about the National Institutes of Health’s medical experiments that were conducted on Guatemalan prisoners? What about the AIDS vaccine experiments on orphan children in New York that occurred over 20 years, causing the deaths of some of the exploited children? Vaccine experimentation is real, and highly profitable, but harmful and deadly to the people used as guinea pigs in the experiments. If the US really cared, it would be handing out antiviral aid in the form of herbal extracts. Look how powerful Echinacea purpurea is for destroying these viruses: human Victoria (H3N2) and PR8 (H1N1), avian strains KAN-1 (H5N1) and FPV (H7N7), and the pandemic S-OIV (H1N1). Three thousand troops. That is a lot! Hmm… I see, the BRICS is getting stronger so America must take Africa too by force. It won’t work. it never did. All this is is platuplatu. I know people who are saying that the U.S. even has more than 3,000 troops there in Liberia alone. And they are not building clinics for Ebola patients. What they are building are bases.